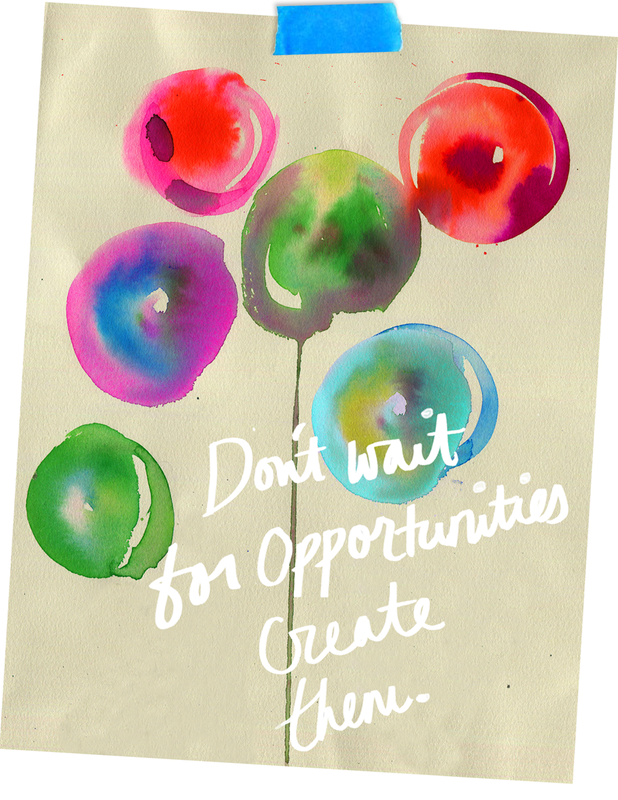 Travel Write Draw: Don't Wait for Opportunities, Create Them! I hope you all had a wonderful day today wherever you are in the world. It's past 11 PM here in New York. I've just returned from a midweek dinner and glass of riesling at Momo Caffe with my boyfriend, for some much needed rest and relaxation with my love. Sadly last night marked the end of my Blogging for Fashion Business course at FIT. But we all know that endings usher in new beginnings, and this instance was/is no exception. Our brilliant instructor, social media expert Dalia Strum, left us with some final words yesterday that kept me thinking throughout the day today. She said "don't wait for opportunities, create them" and I was once again reminded that the power is all in me. Taking this course made me reminisce SO much about the first year I started my blog back in 2010. It was a very different game then. I remember the blogs I followed with such devotion and the friendships I developed with their authors from across the world. Everything was so new and exciting. I checked my blog incessantly for comments and new content. Those blogosphere relationships were as real to me as any here in New York. But now that so many of those friends have stopped blogging, I find myself pining for the good old days, for the same sense of community I once had. I'm realizing that there are still plenty of new opportunities to be had but there is much more work to be done to get them. For the first time in nearly 4 years I feel like the new kid in school again with my blog. I find myself visiting new sites in hopes of making new blog friends. I want to post regularly and provide relevant, meaningful content. I want to collaborate with inspiring individuals and have my voice heard again. I want to reestablish a community of fashion illustration lovers on the web. I guess what I'm attempting to get at here is that I'm no longer sitting around passive waiting for people to come to me. I'm doing exactly what my instructor Dalia said. I'm once again creating and manifesting my own opportunities. After all, good things come to those who hustle, and so they should. I hope you will join me in creating opportunities for yourself too. Don't rue, no point waiting for people and opportunities to come to you , we should just go shard and creat some..
U have been around for so long girl, wow.. I have only had mine for 2 years, but I definitely feel you. To get things to happen, we have to make them happen. Girl I feel ya! Even though I haven't been blogging even a year yet, I have been hustling!! I've got big dreams for my blog! ;) thank you so much for the kind words! I skimmed through your blog, and girl you got some serious talent!!! So glad we found eachother and I will definitely be following along!! That's true and I totally agree with you. Hi Meagan, this was a wonderful read, I felt inspired as well, your course sounds like a truly marvelous experience. Following you too. Thanks for sharing your thoughts with me...Have a great Friday! Don't wait, create. I hear this all the time, yet I manage to forget it the minute I come across a barrier or two. I crumble up and cry, throw myself a pity party until I am reminded to go out there and save myself! Pave the way. Thanks for reminding me of this! I actually went to the FIT website the moment I sent this message and saw those course, most are online course! I think im gonna take a few. Let me know how you like the Social Media one cause thats something im interested in. What was the name of the class you took before? That is really inspiring! Thank you! I am a new blogger so this is very new to me. I've been communicating with other bloggers and have gotten some feed back which I am very grateful for. Hopefully as I network with other blogs my blog will get more traffic. Your professor is 100% correct about creating your own opportunities. Love it, you should never wait. Great things do not come to those who wait, great things come to those who make it happen! Congrats on opening a new door, I'm sure whatever you take on next you will exude with grace- you are so talented. Your blog is truly inspiring. Absolutely agree about creating your own opportunities. That's where you experience the greatest satisfaction. Have to tell you, your fashion illustrations are gorgeous. Great look & inspiring blog. Nice post, amazing blog !! Love that image!! Perfect! I'm glad taking this course brought back memories and made you feel like creating again!! That's always great! It's been a long time I didn't comment here. It happened many things in my life and some questionings but I still continued to follow you on your facebook fanpage and now on instagram. I noticed how much you've evolved and "grew up", and this uplifting post is confirms it. Keep on walking on this path you chose. Your words sounds like sincerity and a real willingness to do things with love and determination. Whatever happen, it will be good, for sure. You're an inspiration for me, a self taught fashion illustrator who keep on learning and who try creating opportunities.